Successes and failures and ongoing challenges. During our first eleven years in Kenya, we’ve seen our share in each of these categories. In this update, we want to share with you some of our key successes from our third term (2014-2017) as we continue to work with our support partners in the work of expanding Christ’s Kingdom in Kenya. To learn more, read our August 2018 update here. There are different phases of ministry. Missionary pioneers begin with the Planting phase: proclaiming the gospel, making disciples, and planting new churches. In the late 1970s, CMF was kicked out of Ethiopia by the new communist dictatorship. Some of the CMF-Ethiopia team came to Kenya, starting pioneering church planting work among the unreached Maasai and Turkana. 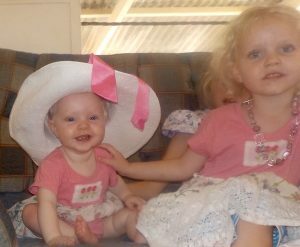 When we affiliated with CMF in 2003, the ministry had reached the Parenting phase. 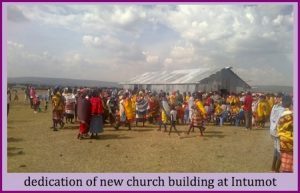 As a result of CMF’s work, today there are strong churches in both Kenya and Ethiopia. Moreover, our team is blessed to have entered the Partnering phase of ministry with the Community Christian Churches of Kenya. At the end of 2015, there were 201 congregations. As of this writing (April 2016), there are at least three new church plants for a total of 204. For some of our latest news, please read our October newsletter (.pdf format, with more pictures). Note: the update should be printed on legal size, rather than standard, paper. If you need to print a copy, let us know and we can share a version with larger resolution images. We missionaries are often asked to describe our typical day. That may be the hardest question we’re ever asked. We tend to have multiple responsibilities in multiple locations and vocational ministry can be full of surprises. But we do understand why the question is asked. So since it has been awhile since we’ve shared a general ministry summary about our day-to-day and month-to-month work, we thought it might be helpful to some of you for us to do that. So if you’re interested, please read our update here. One of many baptisms that came about from the ministry of the DTS students this year. 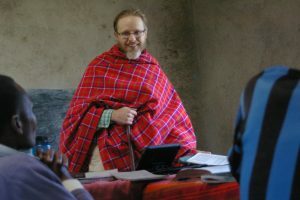 We have some wonderful news to share with you about the ministry among the Maasai, especially concerning the Discipleship Training School (DTS). Read the full update here. We are also in the process of putting together a website just for the DTS. We will let you know when that is available. Or, if you prefer, the “reader’s digest” version is available here. If you are interested in partnering with the DTS, visit cmfi.org/jrbarron to learn more. As of last month, there are one hundred and sixty-six CCC congregations in Kenya. (These include missionary-planted churches together with their daughter and granddaughter churches). 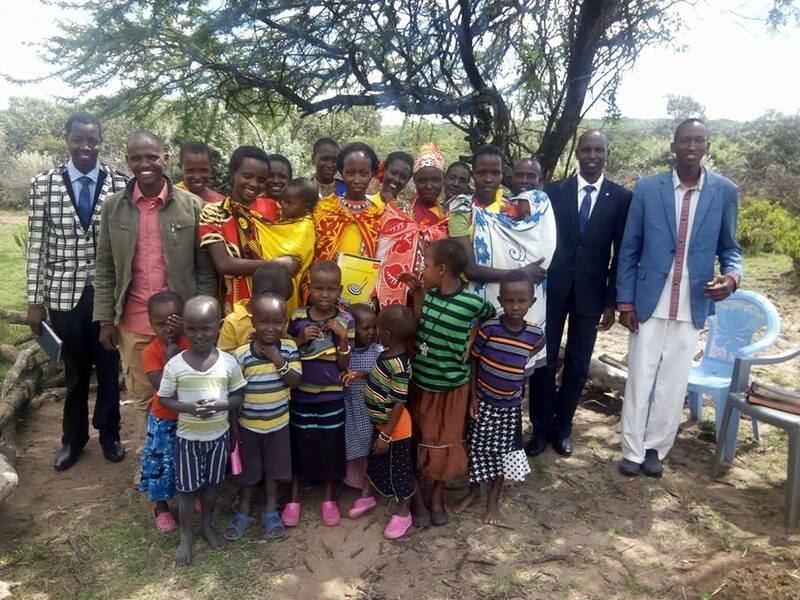 While concentrated among the Maasai and Turkana, these congregations are spread across 9 regional districts and represent at least seven tribes in addition to the Maasai and Turkana among whom CMF began our church planting ministries. Praised be to our Lord for these many Kenyan co-ministers of reconciliation with Christ Jesus! Today starts a week-long vision trip (Aug 24-31) for five leaders from Community Christian Mission Agency (CCMA) to the Rendille area of Kenya. CCMA is considering this area as its possible first disciple-making outreach. The Rendille, who live in northeastern Kenya more or less between the Samburu and the Somali, are less than 1% Christian. Stephen Silamo, one of the CCMA leaders, is himself a Rendille believer who has a heart for his people. Pray for safety in travel, open hearts/minds to hear God’s leading, and God to be glorified. Click here to view a PDF of our latest newsletter. The picture is of part of the TBTI class in May 2012. Each morning we started with worship. For some reason or another I couldn’t add a caption today. Visit our Video page for a clip of this worship. 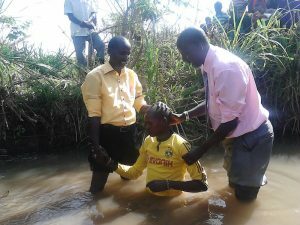 I just heard that CCC has begun a church plant in Maai Mahiu (“Hot Springs” in Kikuyu). Last Sunday was there 2nd worship there. Maai Mahiu is at the base of the Escarpment on the way to Narok at the junction of the Narok and Lower Road to Naivasha. 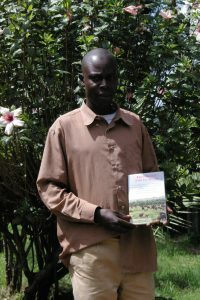 It is on the border between Maasai and Kikuyu areas, and there are other tribes there as well. It is also a “truck stop town,” which tends to bring several sorts of unwholesome activity, so another church there to shine the light of Jesus brighter is wonderful. Maai Mahiu was also a centre of violence during the post-election crisis in 2008.